If you’re looking for peace of mind, look no further than Alarmco to keep you and your loved ones safe from harm. Since 1950, Alarmco has been Southern Nevada’s trusted Home and Business security provider. Alarmco not only designs, installs, monitors, and services our burglar alarm systems, in most cases we can also service and monitor your existing Security System installed by other alarm companies. Alarmco also offers Peace of Mind by offering the latest in technology. Alarmco offers state of the art cameras, sensors and locks as well as the accessibility to look in on your Home or Business remotely from your Smart Phone or Tablet! Over the years Alarmco has seen many changes in the security industry, some good some bad, while other companies began offering in-expensive packaged systems as a gimmick to get your attention, these packaged systems in most cases only provided partial protection for your home or business, sales reps became inept at up-selling additional components needed to provide complete protection to the premises. In most cases the additional components and labor far exceeded the cost of the packaged. Alarmco’s commitment to its customers is and always has been to provide “Total Space Protection” up-front. From the moment an Alarmco representative meets you at your door he/she will work with you to customize a solution that fits your needs and budget. You will know up-front what you’re getting without the gimmicks. Alarmco is a proud provider of Napco Security products, we also provide a wide range of state-of-the-art Security Systems from other manufactures with a wide range of features to fit your needs and budget. Alarmco provides a full range of products & services that WILL exceed your expectations. 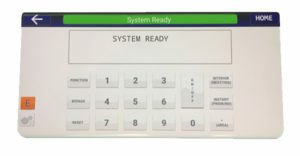 We are licensed to install, monitor, and service a wide range of systems. 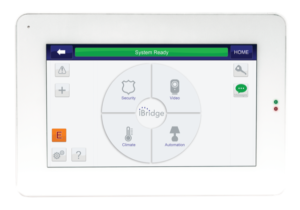 Including remote services so you can control your Security System from anywhere with your computer, smartphone or tablet using Myremote Keypad and iBridge as well as iSeevideo cameras and Z-wave products. Contact Alarmco to learn more about business and residential security services and products.